T.R. 's Bear's Honey, in the traditional role of middle-sized mama bear, is more feminine in shape and gesture than T.R. 's Bear. She is a sweet and gentle creature. Plump and subtly smiling, she plays mother to all small beings. 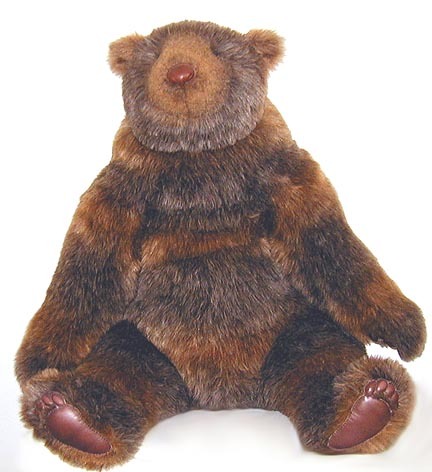 4 ft. of soft, furry, cuddling grizzly bear, T.R. 's Honey likes bear hugs and stories about bears; and children's bare feet fascinate her. Her glove-soft cowhide paws and feet are ticklish, and she loves to be scratched under her chin. Other Fur may be slightly different than picture.